A fun and modern way to customize home decor. Used with a sturdy wood, participants will learn how to create a "rustic" wood effect while being able to paint words and other fun decorations. Board art is completely customizable by colors and layout. Choose from one of our pre-selected designs or If you would like to design your own for an additional fee of $12. Prices very on board size. 2. 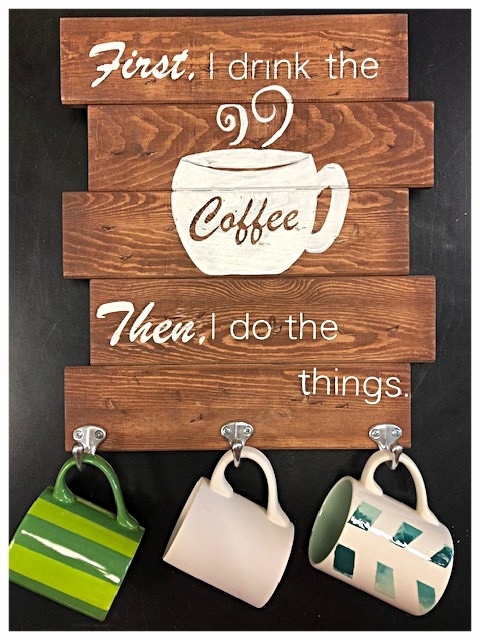 First, I drink the coffee Then, I do the things. 5. The best thing about memories is making them. 21. Bloom where you are planted.